What Can’t You Do During the Medicare Advantage Special Enrollment Period? Medicare Enrollment Questions: What is the difference between Initial Enrollment and General Enrollment? Better Healthcare Delivery through Nations Health? Medicare recipients can look forward to improved delivery of Medicare and Managed Care benefits including medical products and prescription related products through Nations Health. These include diabetes supplies and insulin pumps, and other medical products throughout the U.S. In addition, Nations Health provides education, information and other assistance to Medicare recipients – including details about Medicare Part D.
There are other statements through Nations Health that talk about better, more efficient services and products, however, it is important to keep an eye on things to see if they deliver and how well they deliver what they say they well. There is hope when a company like Nations Health offers assurance of improvement; however it is not always a guarantee. Various world and national events, including decrease in revenue to Nations Health could cause results not to turn out exactly as predicted. With the advent of organizations such as Nations Health – as long as their performance is efficient, effective and organized in such a way to truly help Medicare recipients, the results can be positive for all – a win/win situation. Though it may very well turn out to be a plus if the delivery of products and other benefits is improved, it is essential to watch and see what happens. In addition, when researching any information regarding Medicare, Medicaid or other benefits, it is essential to check the facts, compare various services available and check with the Medicare and Medicaid offices and/or websites. Get a well-rounded, realistic view of what services you can receive and who can deliver them in the best way for your needs. Medicare is designed for individuals 65 years old or older, and individuals with disabilities or on renal dialysis. Medicare Part A covers hospital and inpatient services, while Part B covers doctor visits and other services received as an outpatient (outside of the hospital). Many people worry about how to enroll in Medicare. They worry that it will be difficult or confusing, but it doesn’t have to be, and it usually isn’t. If you are receiving Social Security benefits, you will automatically be enrolled in Medicare Part A & B on the first day of the month that you have your 65th birthday. In other words, if you turn 65 on February 10th you will be enrolled at the beginning of February. Today, most people confuse Medicare and Social Security benefits. They often mix it up and come to a conclusion that it’s all the same where you get benefits. However, you need to remember that Social Security and Medicare are different departments and have different ways to provide benefits to its beneficiaries. You need to know how they are different. First of all, Social Security is somewhat of a retirement benefit that will provide a monthly pension for retired people. Everyone has Social Security. And, once you are retired from being employed and you have reached the payment requirements for Social Security, you will become eligible for retirement and get your monthly pension which is the main benefit that Social Security provides. How Do I Apply for Medicare? It’s Easier than You Think! 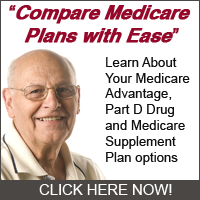 The Centers for Medicare and Medicaid Services (CMS) administer the Medicare program. To take advantage of Medicare, and for your physician to accept your coverage, you must both apply for Medicare. You are encouraged to be sure you have the must up-to-date information before making any Medicare decisions. Most people do not need to apply for Medicare, because they automatically become enrolled when they reach 65 years old.Â Additionally, persons already receiving Social Security benefits will not need to apply for Medicare because they are automatically enrolled in Medicare Parts A and B.Â Those people who are automatically eligible will be notified several months prior to their 65th birthday that they are enrolled and do not need to apply for Medicare. U.S. citizens who are not automatically enrolled must apply for Medicare by completing Medicare application CMS 40B (Application for Enrollment in Medicare).Â This form to apply for Medicare is available from your local Social Security Administration office.Â Persons desiring Medicare coverage can also set up an appointment to apply for Medicare by calling 1-800-772-1213.Â These appointments to apply for Medicare will be scheduled at a Social Security office convenient to the applicant. Often an application for monthly retirement benefits is taken when you apply for Medicare.Â You may also apply for Medicare monthly benefits online. If you have any questions when you apply for Medicare, call your local Social Security office for free assistance. Unlike most Americans who are automatically enrolled in Medicare, all Medicare health providers and services wishing to participate in the program must apply for Medicare.Â When providers apply for Medicare and are approved, it means they are eligible to treat patients with Medicare coverage and receive Medicare payments for services rendered to those patients. Providers, groups, doctors, ambulance services, and related medical providers can apply for Medicare by locating and submitting the proper application form.Â These forms for providers to apply for Medicare can be obtained from the local Social Security office or online via Medicare.gov or SSA.gov. Most American citizens will not need to apply for Medicare because they will be automatically enrolled at age 65.Â Those persons who are not automatically eligible are required to apply for Medicare coverage and sometimes must meet certain specific requirements.Â All health care providers and services wishing to treat Medicare patients and be reimbursed by Medicare are required to apply for Medicare. The first step is to become eligible for Medicare.Â The next step in taking advantage of this national health insurance program is to find a Medicare doctor. The website Medicare.gov contains a searchable database to help you find a participating Medicare doctor in your area with the specialty you require.Â But locating a Medicare doctor is not as simple as clicking the search button! Potential patients are encouraged to verify addresses and phone numbers prior to visiting the office, as these are subject to change.Â Furthermore, a Medicare doctor who joins the database in mid-year may not immediately appear in the list. Detailed Medicare doctor information is presented as well.Â These details can include medical school attended and date graduated, specialties, certifications, the doctor’s gender, which hospitals the doctor is affiliated with, and even any foreign language(s) spoken by the doctor.Â These details allow potential patients to select a Medicare doctor with the age, gender, and specialty that makes the patient comfortable. One frustrating feature of the database is that it does not indicate whether each Medicare doctor is accepting new Medicare patients.Â If you find a convenient Medicare doctor in your area, call his office to confirm that new Medicare patients are welcome.Â If not, you may be stuck paying the bill yourself. The database can be confusing because a Medicare doctor listed as accepting Medicare assignments may be listed in a medical group or clinic that does not!Â This means that a patient seeing a Medicare doctor in a non-Medicare clinic will likely pay more than if they had been treated in the doctor’s private office where Medicare is accepted. Potential patients need to verify with the Medicare doctor as to which office is covered by Medicare insurance. The Medicare doctor database is not a complete listing of all physicians.Â Only those accepting Medicare are included.Â It also does not include a Medicare doctor who has been excluded from receiving Medicare payments, even if he or she received them in the past.Â Doctors who have opted-out of the Medicare program are not included, or will be removed if they were former Medicare providers. Medicare information is subject to change without notice.Â Please check for updated information before relying entirely on the information presented here.Â It can save you both money and aggravation. Medicare Enrollment Application – Who Has to Apply? Medicare is a health insurance program provided by the United States government. The Medicare Program covers citizens who are 65 years old or older, or those meeting other specific criteria. The Medicare program is administered by the Centers for Medicare and Medicaid Services (CMS) department. In order for you to take advantage of Medicare, and for your physician to accept your coverage, you must both complete a Medicare application. Medicare coverage and information is subject to change without notice. You should always check with your local Social Security agency before relying solely on this article. Most people qualify for Medicare when they reach 65 years old or if certain medical conditions apply. Anyone already receiving Social Security benefits will automatically enrolled in Medicare Parts A and B. Because you must pay a premium for Part B coverage, you have the choice not to include Part B coverage on your Medicare application. Persons who are automatically eligible will be notified several months prior to their eligibility birthdate with the proper information. Individuals who are not automatically enrolled must complete the Medicare application CMS 40B, Application for Enrollment in Medicare. To obtain this form, you must either visit your local Social Security Administration office or arrange for a Medicare application appointment at 1-800-772-1213. For convenience, an application for monthly benefits for retirement, disability, or a spouse is often submitted with the Medicare application. It is possible to apply for these monthly benefits online at www.socialsecurity.gov/applyforbenefitsÂ Your local Social Security office can also help you with this application. Medical providers desiring to participate in the Medicare health insurance program must submit a Medicare application. One example applicable to doctors, hospitals, and ambulance is Form CMS 10115, Section 1011 Provider Enrollment Application.Â This relatively short form requires basic contact information as well as the applicant’s Medicare Identification Number, Federal Tax Identification Number, and, for hospitals only, lists of physicians with hospital privileges and their provider numbers. There are many more Medicare application forms available than can be discussed or even listed here. Whether you are a doctor or a patient, the enrollment process begins with the Medicare application.